She will always be remembered for her quiet demeanor, spirituality, generosity, and kindness. Josephine was born in Elizabeth, NJ where she resided before moving to Morris Plains in 1997.
was a teacher and guidance counselor for the Elizabeth public school system for 38 years before retiring in 1999. In Elizabeth, she was an active member of St. Mary of the Assumption Church. She was a Trustee, Eucharistic Minister, a Lector, taught religious education classes, and was a grief counselor. Josephine received the “Jubilee Medal Pro Meritus” from the Archdiocese of Newark,for her services to the church. She was also an Oblate at the Benedictine Monastery in Elizabeth. After moving to Morris Plains, Josephine found her spiritual home in the community of St. Ann Church of Parsippany, NJ. She was a Trustee, Director of Religious Education, a Lector, member of the Liturgy Committee, and a Baptism Preparation Counselor, as well as many other committees. She was also an Associate of the Sisters of the Church. 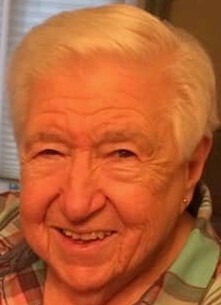 Josephine was the beloved wife of the late John B. Carolan, devoted mother of Anne Carolan & her husband Robert Jaskula, cherished grandmother of Taylor Jaskula, and loving sister of Frank Cimato and the late Anna Acocella. She also leaves behind many wonderful nieces, nephews,and friends.